Customers take too long to pay. Customers often don’t pay their invoices for 30 to 60 days, depending on how prompt they are and what type of agreement you have with them. Delays and uncertainties can seriously impede your cash flow. Lost opportunities for growth. Having to say no because of cash flow shortages can be painful. Excessive administrative expense. Managing your accounts receivable department can be costly, especially if bad debt becomes an issue. Invoice factoring is a type of business financing where a factoring company purchases your accounts receivable for immediate cash. If you work with a reputable company such as Riviera Finance, you can get paid for your invoices within 24 hours and not have the stress of dealing with collections and waiting for customers to pay. With invoice factoring, you can instantly improve your cash flow without taking on debt or diluting equity. If you’re seeking a simple and efficient invoice finance solution, the best approach is to consider the invoice factoring services offered by Riviera Finance. Limited cash flow due to unpaid invoices is a problem that often hides in plain sight for businesses. You may be so accustomed to it that you don’t even think of it as a problem. Only after you start using a business invoice finance solution do you realize what a difference it makes. Here are some of the ways that invoice factoring with Riviera Finance will help your business. Invest in your business. Invoice factoring provides you with stronger cash flow so you can invest in essential areas such as marketing, purchasing more inventory, buying better equipment, hiring additional employees or perhaps expanding your retail, production or storage space. Lower expenses and improve your credit. Riviera helps you reduce business expenses by improving your credit standing with suppliers. By outsourcing administration and credit to Riviera, you’re in a position to leverage a stronger financial situation. Invoice factoring is a way to enhance cash flow without incurring debt. More easily meet your financial obligations. With more cash at your disposal, you’ll find it easier to keep up with payroll, taxes, utilities, buying inventory and supplies and other normal business expenses. You no longer need to devote manpower to collections. This is another way you save money and time. Redirect your resources into more productive directions as you no longer have to worry about collections. Become a Riviera client. Businesses in all industries, even startups, are eligible. You only need to have verifiable invoices. Decide which invoices you want to factor. Riviera pulls credit on them and establishes a limit. Deliver products or services to your customers according to your agreements. Send your invoices to Riviera. Get paid within 24 hours. Invoice financing is a process that helps you take control of your business’s finances. 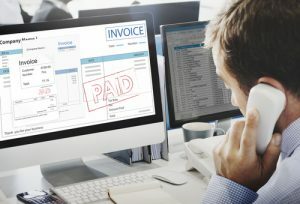 Rather than having to depend on your customers for prompt payments, you can start to count on getting paid immediately, as soon as you issue invoices. This can help make your business stronger and more stable. If you think that invoice factoring might be right for your business, contact Riviera Finance today.